Outdoor/Indoor Security Camera. Night Vision. Weatherproof. 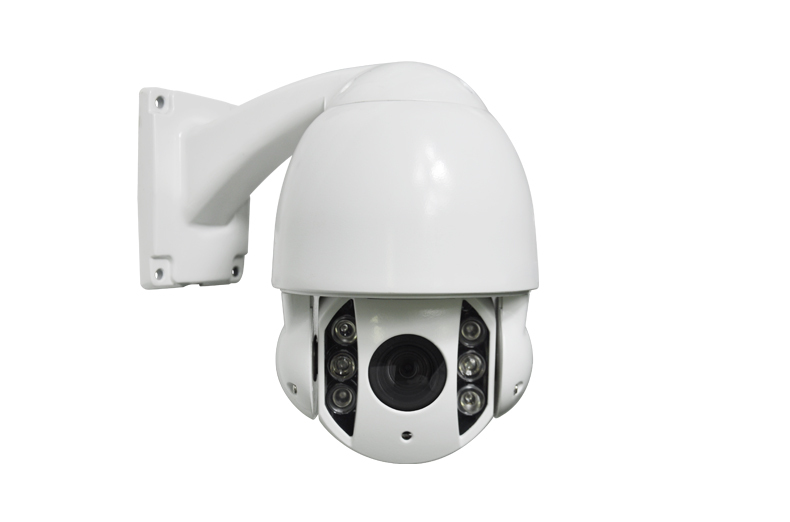 1/2.8’’ Progressive Scan CMOS, up to 1920×1080, 25 fps at HD1080p, Up to 50 to 60m IR distance. High-performance 1/2.8″ Pro Scan CMOS, resolution can be up to 1920×1080. Minimum rotational speed 0.6 ° / S. In conditions of high magnification, can move the image precisely and stable. No vibration under any speed. 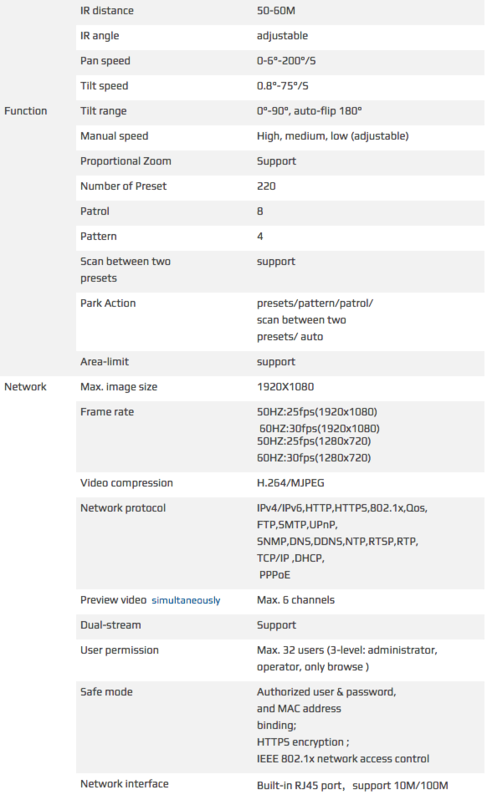 Support standard API develop connection port, support Hikvision SDK, ONVIF, CGI and PSIA protocol. Support multi-language IE interfaces and operating prompts, user-friendly interface. Support system dual backup function to make sure no data lost when power off. Support power-off memory function when it’s repower on, it auto backs to the before status. Support lightning protection, anti-surge, anti-surge function. 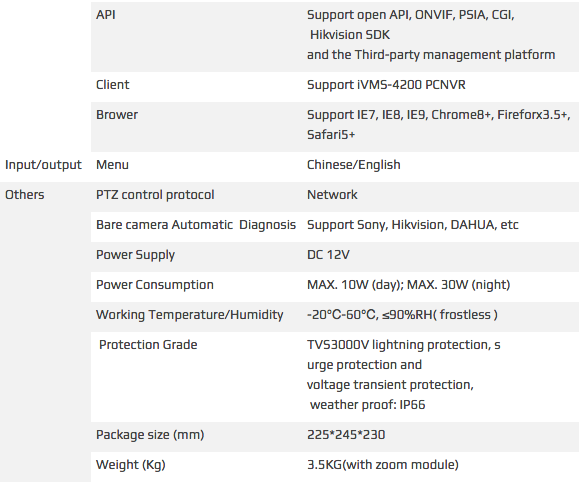 Outside weather-proof level up to IP66. Adopt a network communication protocol. Pan 200°/S, tilt 75°/s continuous rotation, continuous monitoring after 180°auto-flip. Pan speed 0.6°-200°, tilt speed 0.8°-75°; support proportional zoom. 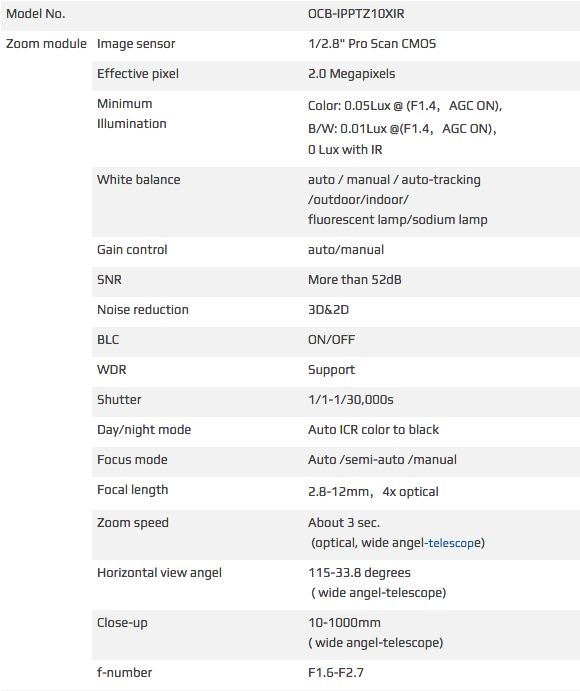 Rotation speed auto-adjust according to lens zoom times. Adopt efficient IR array lights, low power consumption, IR distance 60m.